The actress is back on the Sky One show for a third series. She’s a mum to seven-year-old Rose with her partner, actor Jeremy Gilley, but despite juggling motherhood with her thriving acting career, Emilia Fox has revealed parenting hasn’t become any easier as her daughter grows older. ‘The hardest thing about being a parent is that great responsibility and vulnerability that love brings,” she tells us. 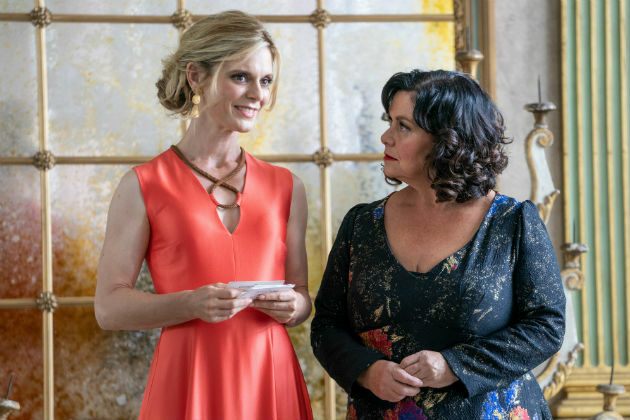 Luckily for Emilia – who has just finished filming for the third series of foodie drama Delicious alongside Dawn French – her job has allowed her to enjoy her to make time for family life and her career. She continues, “Your work life changes when you have a family because your priorities change. You’re no longer just working for yourself and can’t just jet off on a place. But the acting industry isn’t all fun and games, as Emilia- who has played Dr. Nikki Alexander on BBC crime drama Silent Witness for 14 years – opens up about the pressures placed on women. “I think the camera kind of scrutinises your face, so I am aware of how people judge appearances,” she says. While their characters might have an uneasy onscreen relationship, after inheriting the Penrose hotel and restaurant from their former and now deceased husband Leo Vincent (Iain Glen), they couldn’t be closer off set. “We literally laugh from the moment we get there till we go home,” Emilia smiles. I love being back in the front seat with @Dawn_French . It’s #Delicious3 #letskeepgoing @skyone @BanditTV_ #cornwall Happy weekend! In the first series, we watched Sam having to pick up the pieces after losing her husband and discovering that he had been having an affair with his ex wife Gina – who then inherited all of their ex’s money. And by series two, the two ladies were forced to explore whether they could really work together as a team. 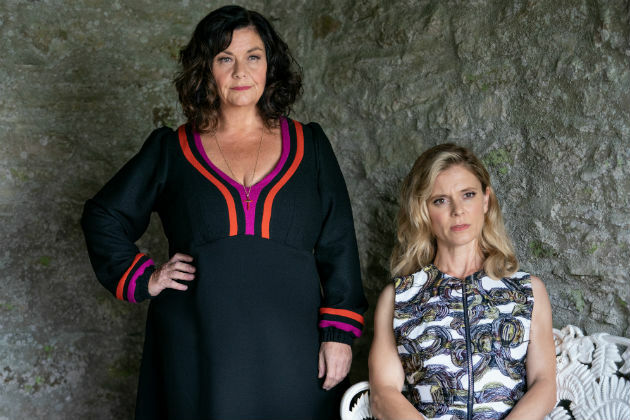 The first episode of #delicious is on tonight with #dawnfrench @sky1 9pm. So what can we expect from the third series? “It’s almost as if Gina and Sam are in a sort of marriage this series,” Emilia says. And it sounds like viewers could be in for a treat, with the new addition of Troy actor Vincent Regan, who’ll play Mason Elliott –a chef who wins over the affections of both Gina and Sam. “Sam invites this new male character in not knowing what chaos he’s going to cause between them personally and professionally,” Emelia reveals. Delicious series 3 airs on Sky One and NOW TV on Friday 28th December at 9pm.